The medical technology sector in Ireland is recognised as one of five global emerging hubs. 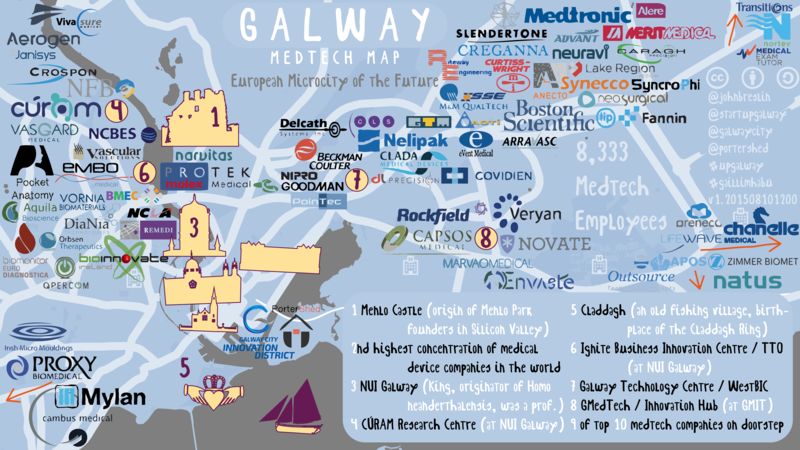 Eight of the world’s top ten med-tech companies are based here, and devices designed and made in Galway are saving lives all over the world. 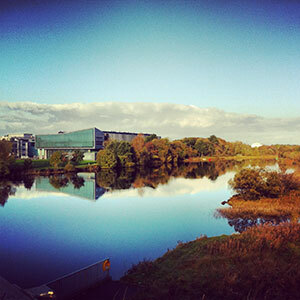 Galway is at the very heart of this development and NUI Galway is the powerhouse for much of this progress. Our researchers focus on some of the major medical challenges that face the world today including cardiovascular disease, cancer, orthopaedic disorders and neurodegenerative diseases. We are pushing the frontiers of science to create the technologies of the future. This will lead to better and more affordable health outcomes for patients. 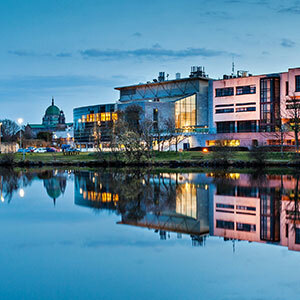 Since the early 2000s, NUI Galway has focussed its research on biomedical engineering science as a priority area. It has developed a range of interdisciplinary research centres and initiatives, working closely with partners in industry, healthcare and government agencies. We have built a world-class clinical, research and people infrastructure. Our world-leading biosciences research groups work on medical devices, regenerative medicine and stem cell research, cancer biology, apoptosis, chromosome biology, biomechanics and biomaterials. The medical technology sector in Ireland is recognised as one of the five global emerging hubs. Galway is at the very heart of this development and we are delighted to honour people in our own region who have been integral to growth of this sector in Ireland. 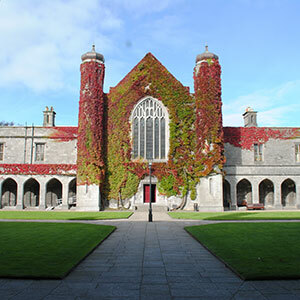 NUI Galway will confer six outstanding leaders of the Irish medical technology sector with honorary degrees on Monday 26 September. The Honorary Conferring Ceremony will coincide with the official launch of CÚRAM Centre for Medical Device Research which is based at NUI Galway. CÚRAM is a Science Foundation Ireland Research Centre, which has a unique symbiotic relationship of academia and industry partners that pushes the scientific frontiers in medical devices. The sector employs over 29,000 people in Ireland and is the second largest employer of medtech professionals in Europe. Since the early 2000s, NUI Galway has focussed its research on biomedical engineering science as a priority area. It has developed a range of interdisciplinary research centres and initiatives, working closely with partners in industry, healthcare and government agencies, to build a world-class clinical, research and people infrastructure. Read more about the six outstanding leaders of the Irish medical technology sector here. 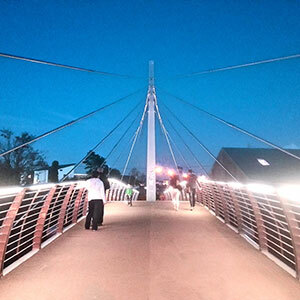 A major infrastructure development project has just completed, which has equipped our campus with world class facilities. 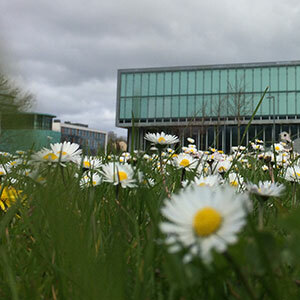 We have 8000 metres of lab space in our Biosciencce Research Building, which is home to 300 researchers. The Lambe Institute for Translational Research and the Health Research Board (HRB) Clinical Research Facility represent the nexus of research and its translation into the clinical setting. Built on hospital grounds next door to the University, this is the point at which “bench” meets “bedside”. 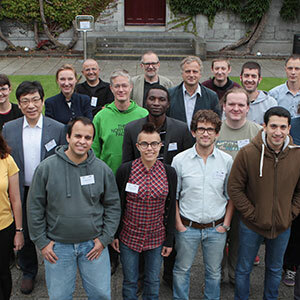 Clinical and scientific researchers aligned to NUI Galway’s strategic priority areas of cancer and medical device technology work on the upper two levels in the Lambe Institute for Translational Research. On the lower two levels these scientific advances are carefully applied in a clinical setting in the HRB Clinical Research Facility. 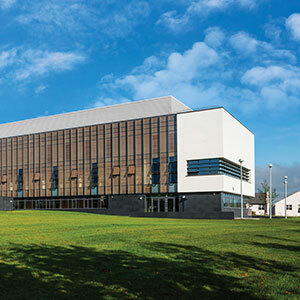 The Centre for Cell Manufacturing at NUI Galway is the first and only approved facility on the Island of Ireland. The custom-built licensed centre is designed to manufacture Advanced Therapeutic Medicinal Products such as stem cells for use in human clinical trials. Cellular therapy is not a technology of the future, it is having an impact now, with thousands of ongoing clinical trials using stem cells as the preferred treatment option. This provides further confirmation of the university’s leadership in world-class biomedical research and positions Ireland as a strategic global leader in the new technology of Regenerative Medicine. A unique medical technology innovation programme, celebrating its 5th year in 2015/2016. This 10-month Fellowship programmme combines design thinking and entrepreneurship to develop the next generation of innovators and innovations. The programme focuses on the identification and validation of unmet clinical needs, the investigation of a market behind these needs, and subsequently the development of novel solutions to address the need. In 2016 BioInnovate successfully secured funding through EIT Health to expand the Fellowship to a pan-European initiative. BioInnovate has 55 alumni, 12 technologies currently in development, one company spun out and been acquired, another currently recruiting, and a further 3 are fundraising at this time. The medtech sector responsible for €12.6 billion worth of exports. med-tech companies in Ireland account for over 29,000 jobs. of the top 20 global medical device companies operate in Ireland. of companies in this sector are SMEs. of the world’s stents are produced in Galway. of the world’s top 10 med-tech companies are based here. Ireland is the second largest exporter of medical devices in Europe.